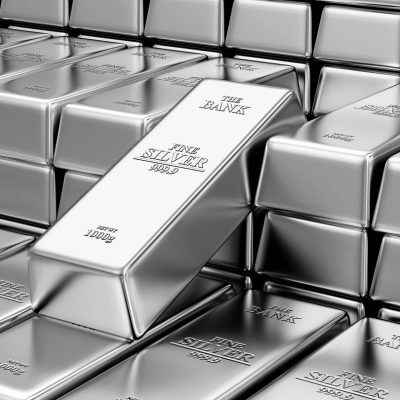 When selling or investing in silver, it is important to know the difference between allocated and unallocated metals. What exactly are these differences, what could they mean for you, and how could they affect your portfolio? Allocated silver is, put quite simply, physical silver that you can actually own. An account for allocated silver can be opened when a client asks for a specific metal, in this case silver, to be stored separately in either bar or coin form, along with a detailed account of the characteristics of the metal. The client is the full owner of these assets, and has the ability to either store them at home or via a third party, such as in a safe deposit box or in a vault. When storing precious metals via a third party, there are usually additional storage fees involved that the client must take into account. For example, when buying physical gold and silver through Gold Investments, we offer either delivery to your home for home storage, or for it to be stored securely in the London Silver Vaults at a price of £4 per ounce per year. Unallocated silver is quite different from allocated silver, and this is an important difference to be aware of before buying or selling. Unallocated silver differs in that the metal, in this case silver, is not separated from other account owned metal, but rather is pooled. Each person owning a part of the pooled silver shares this with all other owners. Unallocated silver can be bought and sold through a bank and upon purchase you will be issued a certificate confirming your purchase. Your share of silver will be stored at a mint or other central location on your behalf. Unallocated metals, such as gold and silver, is the cheapest, most common method of owning metal. If you own silver bars or coins and would like to sell them, you can begin the process of selling your silver bars online with Gold Investments. First, join our free Gold Club. You will then be able to get in touch with us regarding what you would like to sell, and we will offer a spot price premium. We are able to lock in the offered price for three working days before the deal date. You also have the option to come into our office in order to deal with us personally. We only trade in high purity silver, and do not buy “scrap” silver items such as cutlery, as this usually contains other metals, which lowers the purity and value. As a family owned business, customer service is our number one concern. The fastest way to sell your silver bullion is to come into our offices in London personally, where we will value and buy your bullion on the same day at the best market price. To arrange an appointment, please call 0207 283 7752 or email info@goldinvestments.co.uk. Our offices are open weekdays from 9:00 am to 4:30 pm, with online trading available 24 hours a day.